What is Itchy Feet? Itchy feet is a cycle. The first part was a 7 days workshop that took place from 3rd to 9th of April. The training was organised within EVS Strategic Partnership, with MOVIT’s support Zavod Voluntariat offered the opportunity to share and gain experience and new knowledge in the field of international volunteering and non-formal learning. 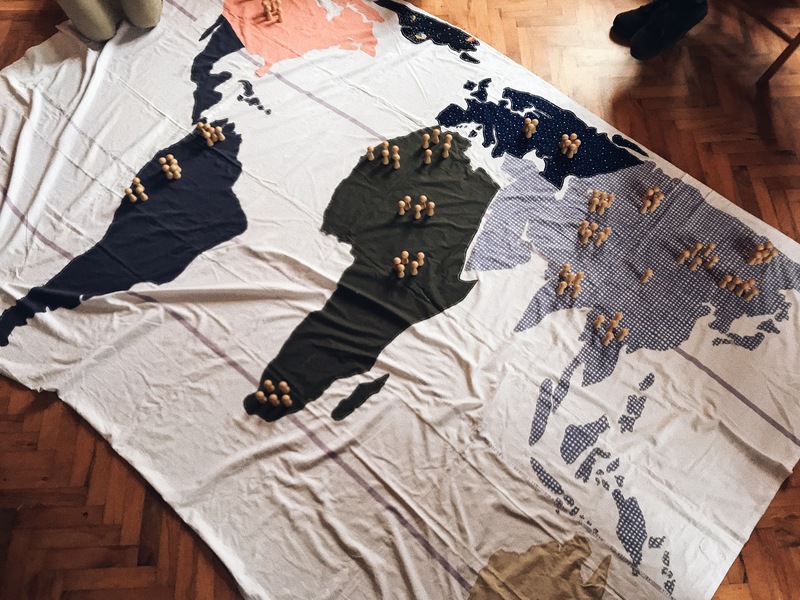 4 EVS volunteers from Macedonia, Republic of Moldova, Spain and Turkey and 5 Slovene bounded, learned about sustainability, global education, brainstormed, visited different organisations and challenged their perceptions and ways of looking to the world. What will follow? The participants will meet one more time in May to come up with promotional activities, plan the work and methodology of their future work together. What is the aim? The participants will be split into groups and will organise workshops in schools, youth centres outside Ljubljana to inform young people about opportunities in the field of international volunteering, the importance of non-formal learning and competence acquisition through international volunteering, with an emphasis on the opportunities for youth participation in the ERASMUS + programs. If you would like us to come to your town or you have some ideas regarding the workshops, contact us. How was the first part of the training? The participants were invited to use badge wallet application and reflect on the activities they had during the day through answering questions and uploading pictures. As reward they received badges. They collected a total of 6 badges: strategist, explorer, global learner, investigator, team worker and global reflector. This approach was funny and competitive in the same time, allowing the participants to remember all the activities in such an intense week. The trainers used diverse techniques of Non Formal Education. The participants actively took part in team activities, reflected using different methods, such as learning river, who am I, group talks and badges, learned about European volunteering programs (Glen, SCI work-camps, EVS), explored the city, visited organisations (Humanitas, Center Ponovne Uporabe, Mladinska Postaja Moste, Center za Pomoč Mladim), took part in Mladi Zmaji’s initiative “Connected in colors” and of course bounded. We look forward for the second part of the workshop. Pingback: Itchy Feet? Learn About International Volunteering: We are ready to act!